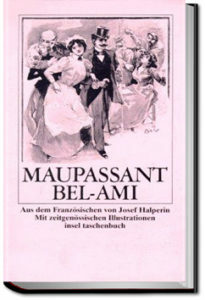 Though firmly set in 1880s Paris, Maupassant’s gripping story of an amoral journalist on the make could, with only slight modifications of detail, be updated to the 1960s, to the Reagan-Thatcher years, or maybe to the present day. Anti-hero Georges Duroy is a down-at-heel ex-soldier of no particular talent. Good-looking but somewhat lacking in self-confidence, he discovers an ability to control and exploit women – whereupon his career in journalism takes off, fuelled by the corruption of colleagues and government arrivistes. He may be a provincial Don Juan, but he is neither accident-prone nor heading for a fall.